Mrs. Zoe Phillips Harris and Norman C. Krischke supplied information in this report. Mrs. Harris's survey dates prior to 1980. Mr. Krischke completed his report & survey Nov. 17, 2000. Both Harris & Krischke supplied family relationships. The reports are available in the Cemetery Files of the Fayette Heritage Archives. 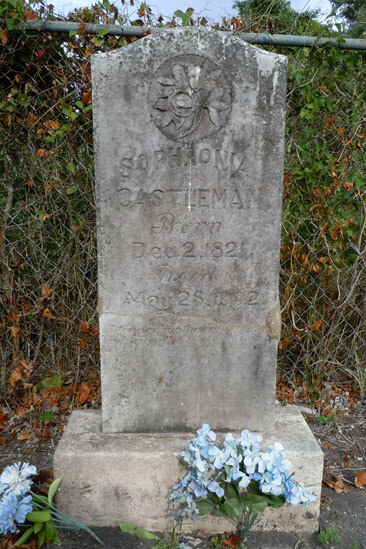 This cemetery is located 3.5 miles south of Flatonia, Texas on the East Side of Highway 95. It is 9/10 of a mile south of the Scotts School Road at mailing address 3811 Highway 95 South. It is about 200 yards from Highway 95 and to the south of the entrance drive to the house on the premises. This small cemetery enclosed by a chain link fence and was previously grown up with weeds and saplings partially hiding the markers. There are 7 graves with headstones. 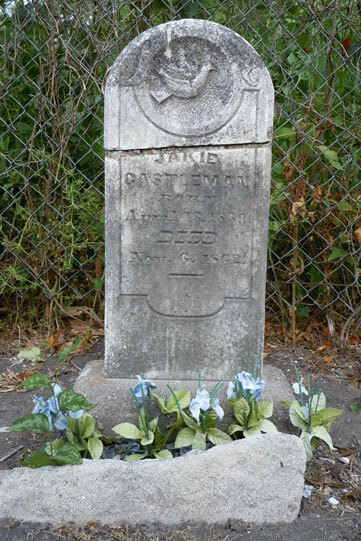 A soldier in the War for Texas Independence; a San Jacinto veteran. Erected by the State of Texas, 1962. 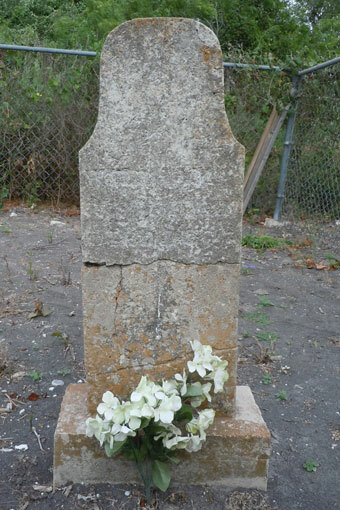 His tombstone is damaged and does not show the date of birth. 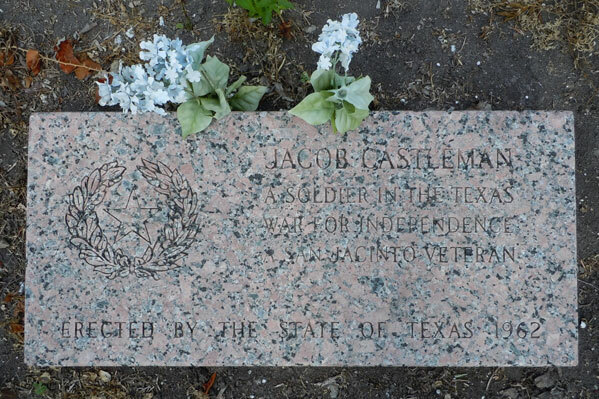 Jacob Castleman's age is given in a news report of his death in the States Right Democrat dated May 1, 1868. 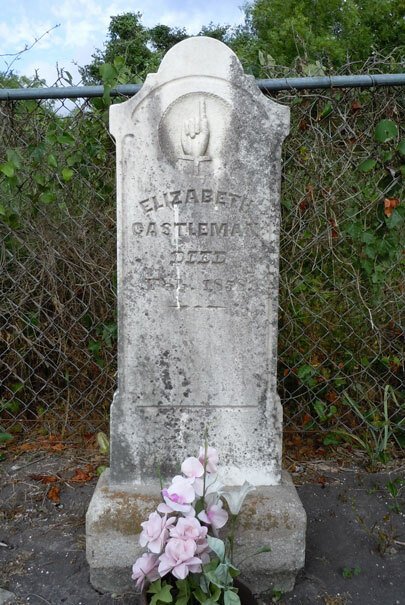 "JACK CASTLEMAN died at his residence, near Orazaba, in this county, on the 28th ult., in the 51st year of his age." Orizaba had a post office from 1856 until 1866 when it was discontinued. Jacob's wife (Sophronia Harrell, daughter of William and Minerva Woods Harrell) is buried beside him. She first married George W. Lyons whose father, James Lyons, was killed by Indians in 1837. 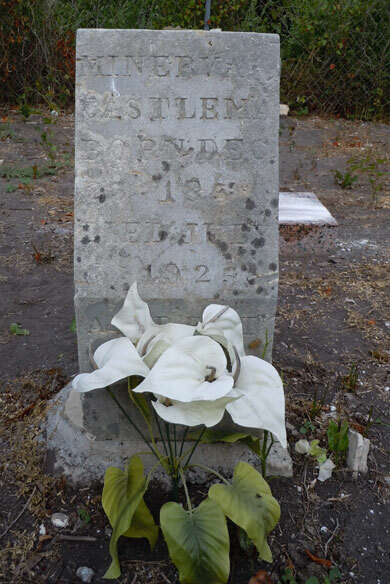 They married 12-22-1838 and he died 7-8-1843. 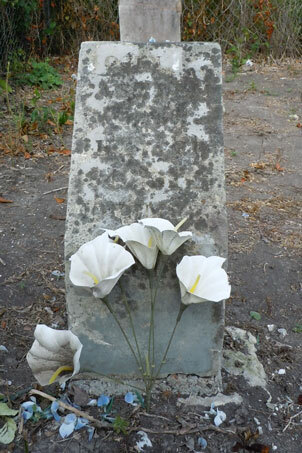 They had two children: Charles K. and George Wesley Lyons. Jacob & Sophronia were married 9-9-1846 and had six children: John, Minerva, Amanda, Elizabeth, William C. & Jakie Castleman. -- from Bessie E. Webb, "The Lyons in Texas", 1985. 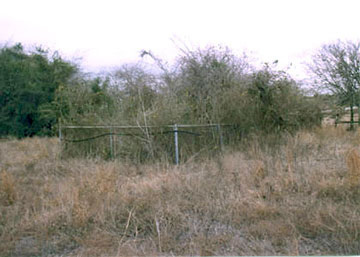 2003 Photo of Castleman Cemetery contributed by the late Asa Castleman. 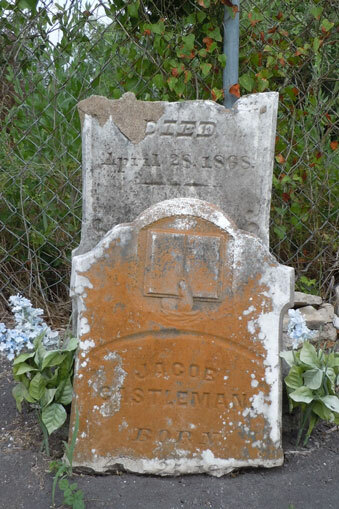 Castleman descendants are working toward restoring the cemetery. Please contact Tissie Schwebel if you can help. 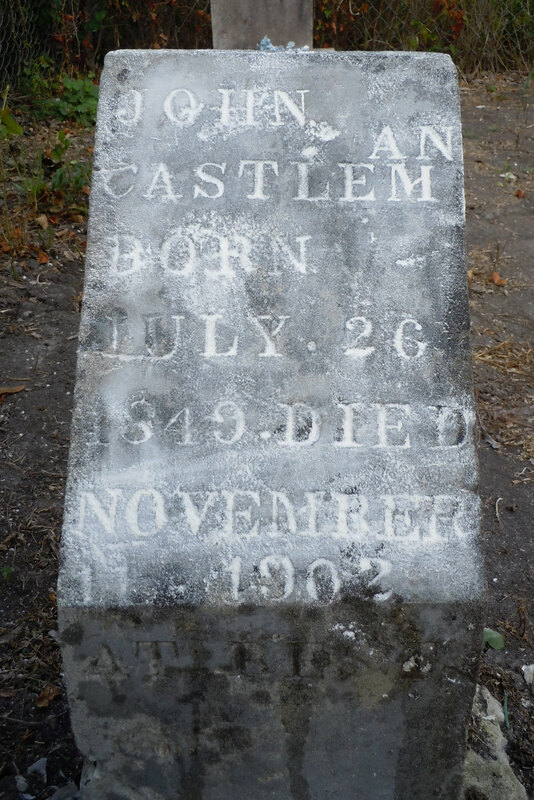 See much more about the Castleman family's history at Asa Castleman's family web site.